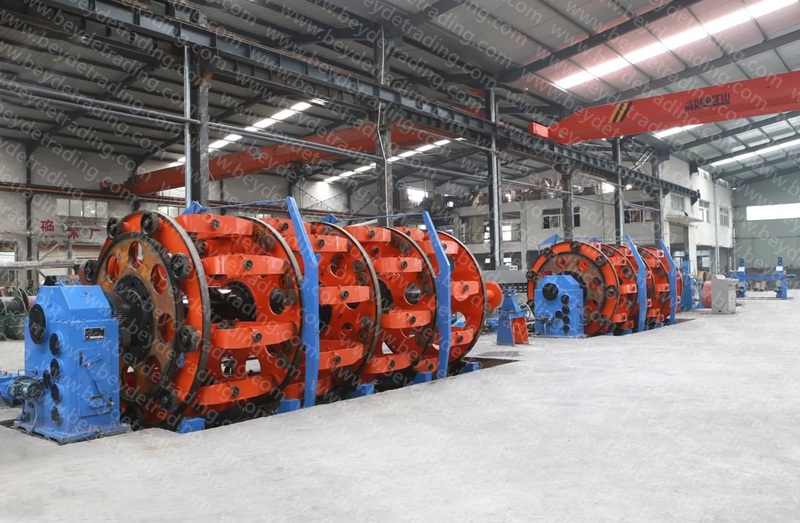 The planetary type strander is used for stranding flexible aluminum wires or copper wires with back-twist, or compacting and stranding the round or sector conductors. 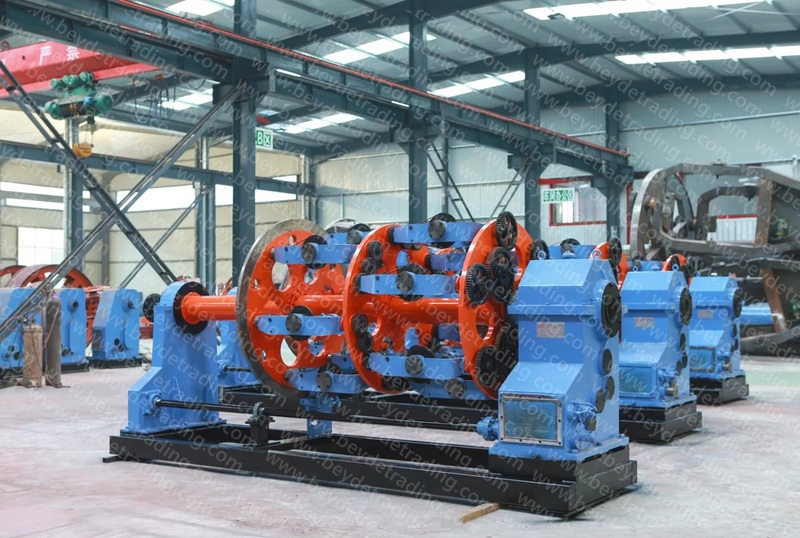 It also can strand the insulated cores and make steel armoring for power cables. 100% back-twist stranding: Adopt fully gear back-twist, which can realize 100% back-twist stranding. The separate motor transmission makes the pitch continuously adjustable, which is good for improving the manufacturing technology. Adopts imported motor speed regulator which has reliable performance and high control accuracy. 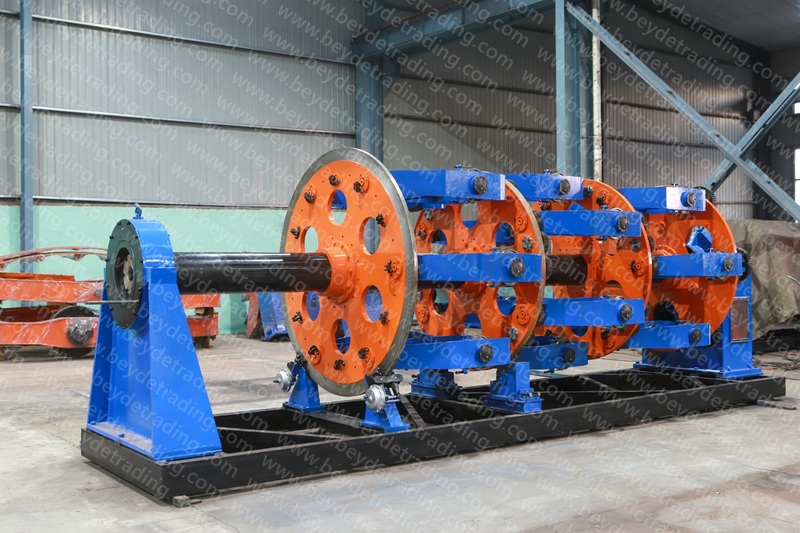 Planetary Stranders/Cablers are cage type machines with backtwist(fixed or variable). They Utilizes the principle of stranding/cabling by minimizing the twisting of bar wire/insulated conductors around their own axis. Central pay-off device, mainframes of 6-bobbin, 12- bobbin, 18- bobbin, 24- bobbin, 30- bobbin, die holder, taping device, armouring device, traction, take-up and traverse device, transmission system and electric control system. 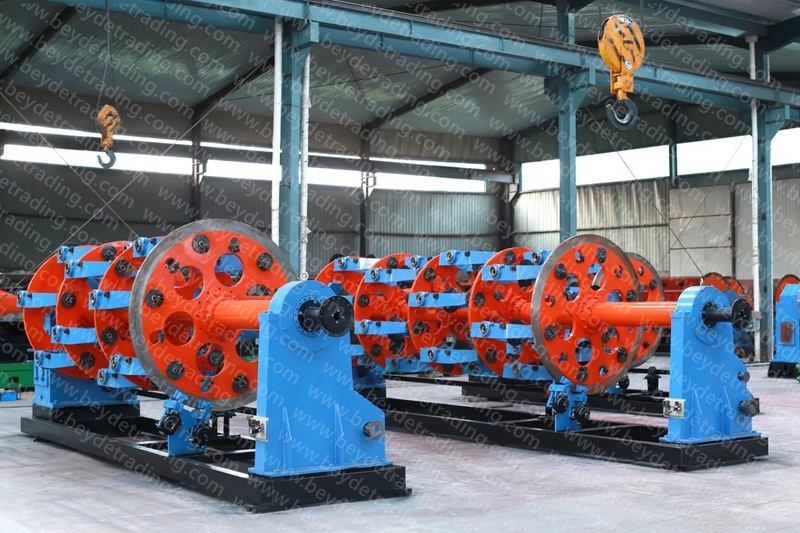 1.Strand tension control by torque motor with optional automatic control system. 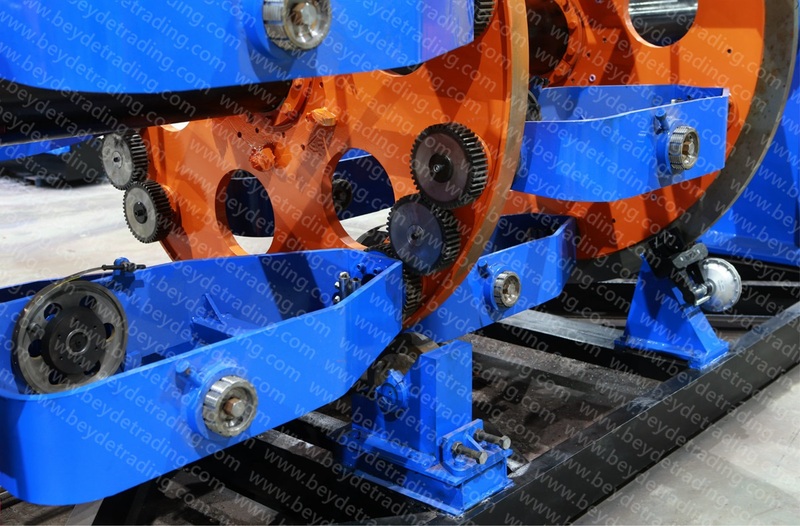 2.Bobbin loading/unloading by powerd pintle action. 3.Shorter shutdown time thanks to high capacity disc brake. 4.Adjustable cradle angle and cradle slow drive for easy bobbin exchange. 5.Slow drive system with interlocking.